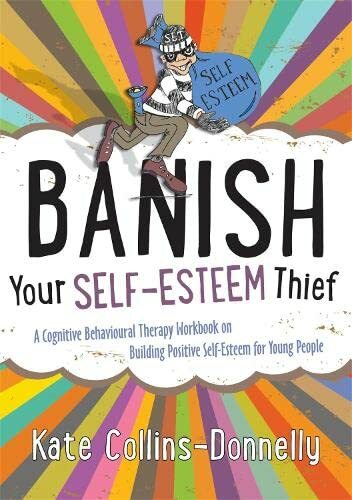 [PDF] Banish Your Self-Esteem Thief: A Cognitive Behavioural Therapy Workbook on Building Positive Self-Esteem for Young People (Gremlin and Thief CBT Workbooks) | Free eBooks Download - EBOOKEE! Description: Build confidence and self-esteem with this fun and effective workbook for young people. Look out - the Self-Esteem Thief is on the prowl! He's the crafty character who keeps stealing your positive self-esteem from your Self-Esteem Vault, leaving only negative thoughts and feelings about you behind. But the good news is you can banish him for good and this workbook will show you how! Packed with activities and real-life stories, this imaginative workbook will show you what self-esteem is, how it develops, the impact it can have and how all this applies to your own self-esteem. Using cognitive behavioural and mindfulness principles and techniques, this workbook will help you change how you think and act in order to build positive self-esteem, protect your Self-Esteem Vault and banish your Self-Esteem Thief for good! Fun, easy to read and full of tips and strategies, this is an excellent workbook for young people aged 10+ to work through on their own or with the help of a parent or practitioner. No comments for "[PDF] Banish Your Self-Esteem Thief: A Cognitive Behavioural Therapy Workbook on Building Positive Self-Esteem for Young People (Gremlin and Thief CBT Workbooks)".